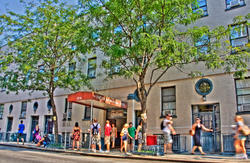 Our Hostel is one of the largest independent Hostel in New York City. 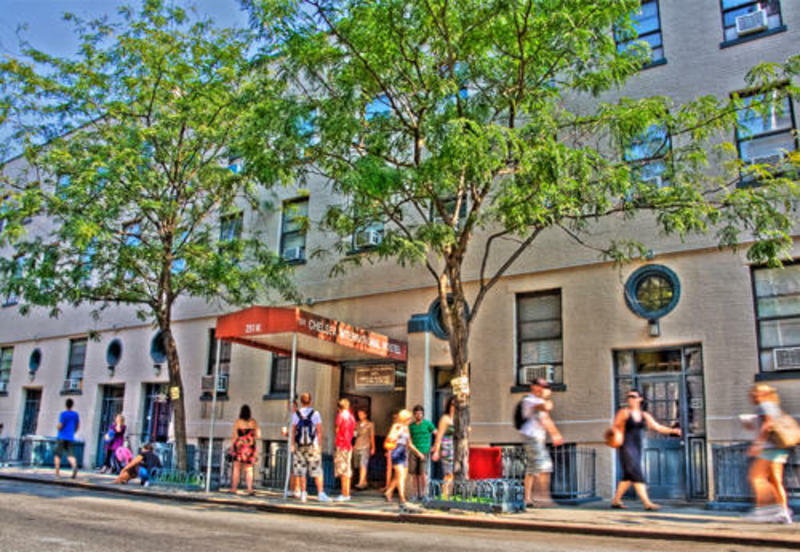 The Chelsea International Hostel is located in the historic Chelsea district of Manhattan; just north of Greenwich Village and south of Midtown Manhattan (between 7th and 8th Avenues). We have an outdoor courtyard, a common dining area and two common kitchens. Free continental breakfast is served in our dining area. 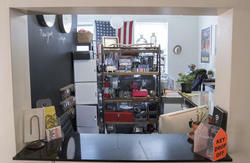 You will be welcome to enjoy a variety of bagels, cereal, fresh fruits, coffee, milk and tea. This policy is also valid for American and Canadian citizens. NO EXCEPTIONS. NO CURFEWS. COMMON ARES ARE OPEN FROM 7 AM TO 11 PM. It has been our tradition since our opening. WEDNESDAY evening is for free pizza! Payment is due full upon arrival, by Visa, Mastercard, American Express, Traveler Checks or Cash. Beds and rooms are allocated on the arrival day. We will do our best to accommodate you, but there is no guarantee a group of 2 or more people will be in the same room nor can we guarantee a booking will have the same bed and room throughout the duration of your stay. 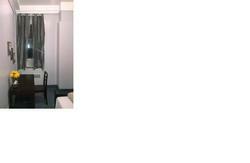 We provide all the linen, including towels. You must be 18 years old or older to stay in our hostel. Take the air train to Sutphin Blvd / Jamaica, Queens. From there, take the E train to Manhattan, and get off on 23rd St. You can also take the A train from the Howard Beach Station to Manhattan and get off on 14th St. We are located on 20th St between 7th and 8th Ave. There are buses outside the airport that take you into the Port Authority Bus Terminal for a certain price, may not be more than $20. Then you can take the C or E trains downtown to 23rd St. If you wish to take a bus you will have to take them outside the airport that will take you into Port Authority Bus Terminal. Then you can take the C or E trains downtown to 23rd St.
You can also take the M60 bus and get off on 125th St and Broadway. There you can take the 1 train downtown and get off on 18th St. We are on 20th St. between 7th and 8th ave.
You can take the NJ transit train that will drop you off at Penn Station. Then you can take the C or E trains downtown to 23rd St.
You can also take the buses that are outside the airport and they will take you into Port Authority Bus Terminal. Then you can take the C or E trains downtown to 23rd St.